Fabiano José de Oliveira Costa is the CEO of AMG Mineração and AMG Brasil (LSM Brasil) since April 2014; he is also the CEO of AMG Brazilian Holding, company that controls all the AMG Group assets in Brazil and a center of R&D for Lithium and Tantalum in Germany. 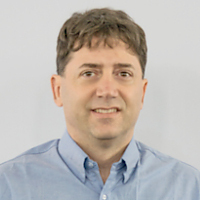 Joined the Group in 2011, initially as a Production Director and currently is the responsible for all business units in Brazil, including Mining and Processing, Metallurgy, Chemical Processing and Power Generation. 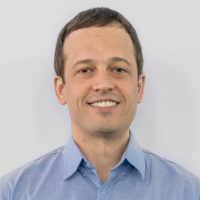 Fabiano graduated in Mining Engineering from UFMG and received a Master’s degree in Geostatistics Applied to the Estimation of Mineral Resources from UFRS and Graduate Studies in Mineral Technology from University of Queensland. Have a broad professional experience in this field whether in Brazil or overseas, having worked for almost 10 years in countries such as Canada, Chile, Australia and Laos. Juri Abbatantuono is the Projects Director of AMG Brasil and AMG Mineração since 2017 when he started his work with the Group. Juri Abbatantuono graduated in Civil Engineering and received his Graduate Studies in Quality Engineering from PUC MG. Have specialization in Business Management from Fundação Getúlio Vargas, Projects Management and Master of Business Administration from Ibmec MG. Had important and strategic roles on Fiat Group, COMAU, Vale, Hatch and nowadays consolidates his career in the Projects area, working on the growth challenges of the AMG Group. 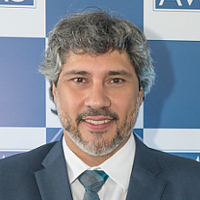 Sérgio Gattas Hallak is the Commercial Director of AMG Brasil and AMG Mineração since November 2014. Started his work on the Group almost 20 years ago as Head of Production. Graduated in Metallurgical Engineering from UFMG. Have a relevant history in the AMG management in Brazil, having worked also as Aluminum-Tantalum-Niobium Production Manager, Commercial General Manager and General Manager of the AL unit. 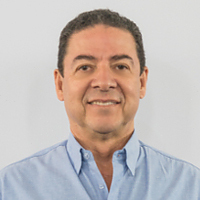 João Augusto Dias Silva is the HSE General Manager of AMG Brasil and AMG Mineração since June 2014. Joined the Group in 2013. Received his Civil Engineering degree from the Escola de Engenharia Kennedy, have Graduate Studies in Work Safety Engineering from UFMG and Graduated Studies in Watersheds Environmental Studies from UFMS. Works to engage the team towards the challenges and projects of AMG and to the commitment with the results of security, occupational health and environmental performance. 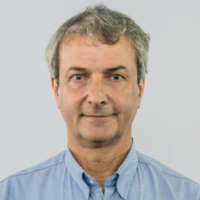 Marcelo Pacheco de Mattos is the Finance General Manager of AMG Brasil and AMG Mineração since 2015. Joined the Group in 2012, as Controller, performing roles in the management accounting, in the financial activities and in the strategic planning. Graduated in Business Administration from UFMG and in Accounting from PUC MG. Worked in Deloitte where acquired experience of a decade in external auditing, working with in the fields of mining, industry, construction, real estate and education.